For the last five years, little red bicycles have helped to make the heavy Mexico City traffic a little less dense and polluting. The service – run by Mexico City’s local government – now offers more than 6000 bikes at more than 400 bike stations. An annual membership costs 400 pesos (27 USD or 24 Euros); lately, short-term memberships for one, three or seven days have been introduced. 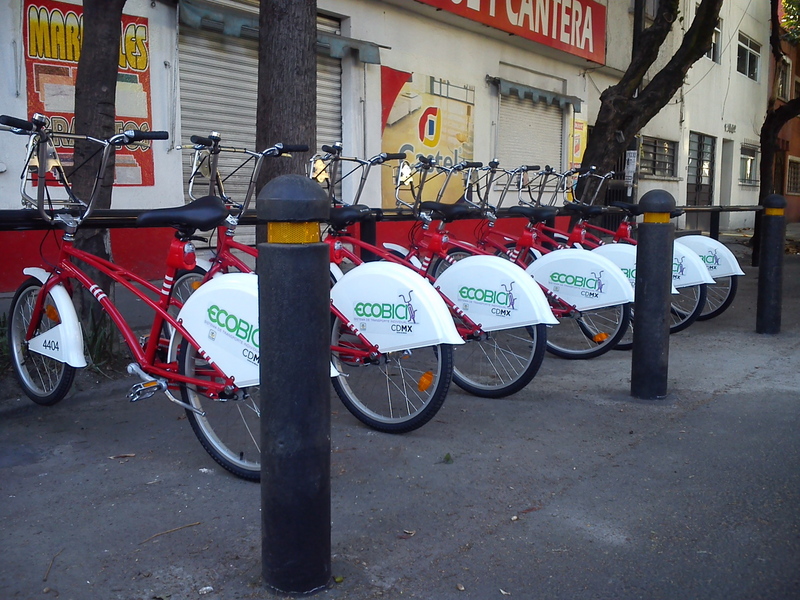 According to Ecobici, nearly 150.000 users have registered so far for the service which is the biggest in Latin America. And right on their 5th anniversary, the Ecobicis have made their way into our neighborhood, the borough of Benito Juárez. The only thing lacking now is educating local drivers that they are not the only ones on the streets. Might be an even tougher job than what Ecobici has reached so far.